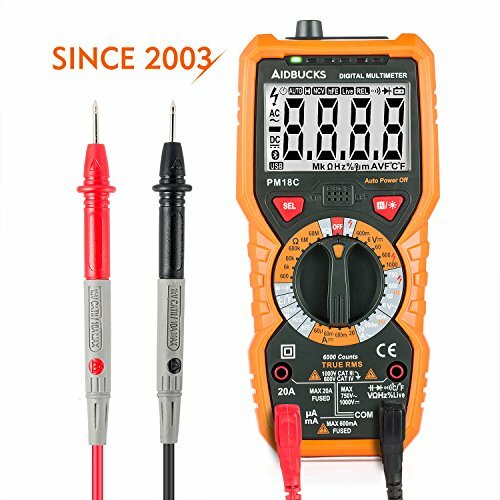 AIDBUCKS PM18C Multimeter is an ideal muti-functional tool for electricians, hobbyists and general household use. This electronic problem terminator will easily meets your different test requirements and scenarios from checking household electric fuses to checking car battery voltage and so on. 6.Provide display up to 6000 counts and Ture RMS.